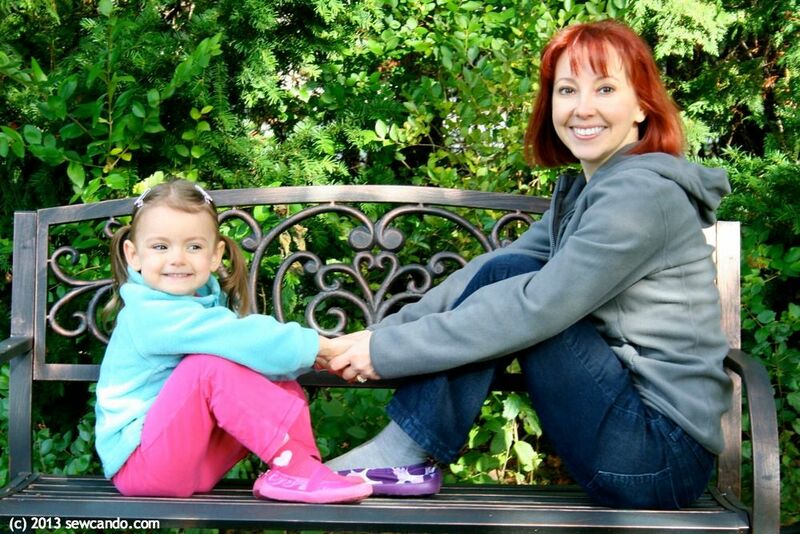 Sew Can Do: Sharing Some LUV: Our Ambassador Announcement! Sharing Some LUV: Our Ambassador Announcement! If you follow Sew Can Do on Twitter you may have seen some tweets with shoe pics & references to LUV and wondered what it was about. Today's the day to share it: my daughter & I are now LUV Ambassadors! 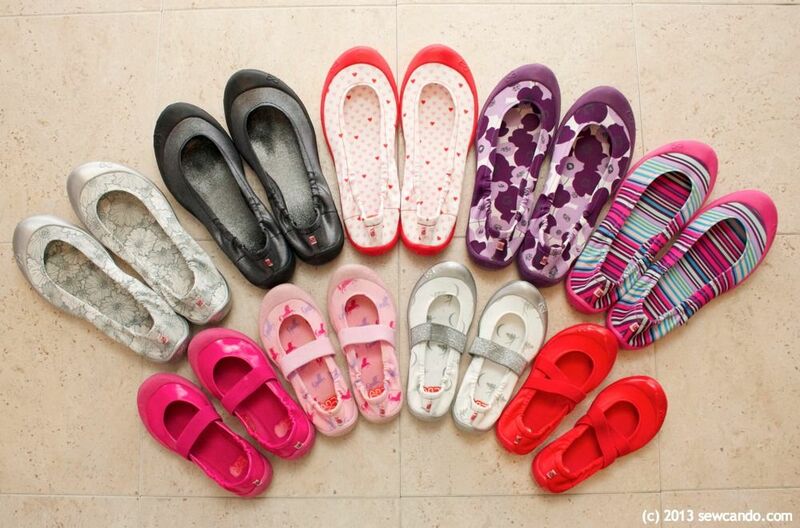 Back in the summer I saw a review on another blog for some toddler shoes from LUV Footwear. The colorful prints caught my eye, as did the cute slip-on flat style. That blogger mentioned how comfy & durable they were, so I checked out their site. That's when I saw they made Dream Flats for girls AND women. I decided to order some for myself & my daughter. They. Were. Fabulous! They take the comfort & ease of slippers and cross it with all the durability of a sporty shoe and the creative prints & textures of a gorgeous fabric stash. I ordered a few more and found myself choosing outfits based on being able to wear our LUVs with them. I was hooked. I've since bought pairs to give as Christmas gifts for all the girls & ladies on our list too. I've worn them running around with the kids, while working out, poolside - I even sew with them on (they are ideal with working a foot pedal). They've become my go-to footwear in & out of the house and let me show my love of fun fabrics too. 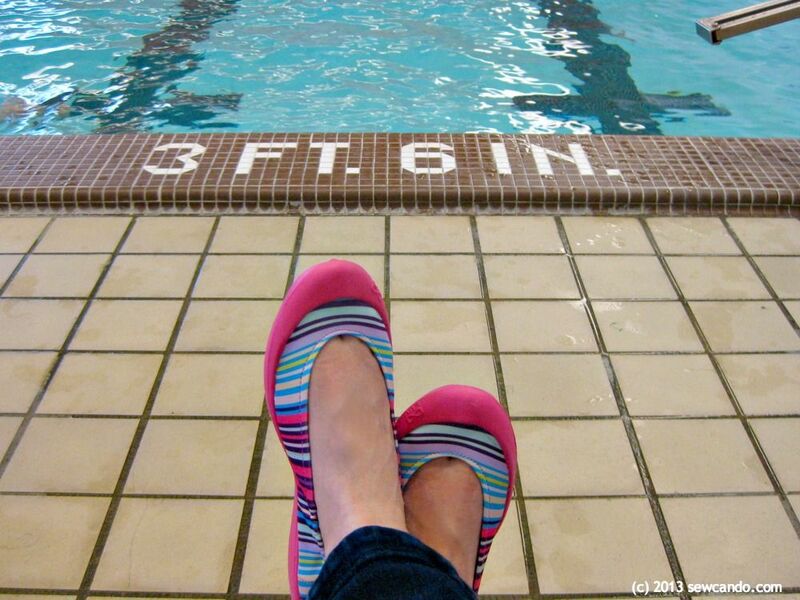 At the pool in my Fiesta Pink LUVs. My daughter loves wearing them because she can get them on & off by herself and she can run, jump and climb in them. I love that they look just as good with skirts as they do with pants. Plus, despite several months of regular wear, they all still look practically new. They can even be tossed them in the washing machine! Why is this good for Sew Can Do Readers? Random Acts of LUV - I can now gift FREE shoes and other LUV goodies to people who inspire me. I meet a lot of inspiring people thanks to the comments you make here at Sew Can Do, on my social media, and via the projects you share with me at the Craftastic Monday link party, so keep it up! You might find yourself bestowed with a Random Act of LUV! My code: CBLUV20, is good for 50% OFF Your Entire Order!! Designing Opportunities - I'll also be on the voting panel for the LUV Open Call Design Competition. This program allows creative designers & artists to submit their ideas for a chance to commercialize their designs into new LUV Footwear styles. 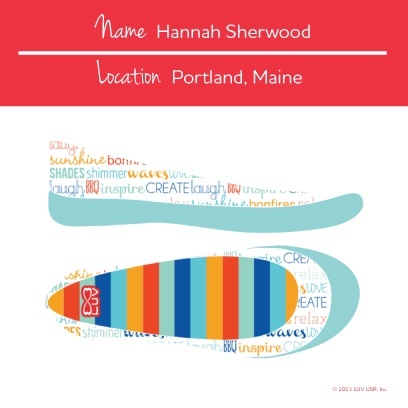 Seeing your own design made into a shoe - how cool is that?!? I'll share more details when the 2014 call is ready. Community Involvement - LUV also does some great charity work to benefit the community. They gave out free shoes in exchange for donations to Make-A-Wish San Francisco at the now famous Batkid event. They even let him drive the LUV bus! 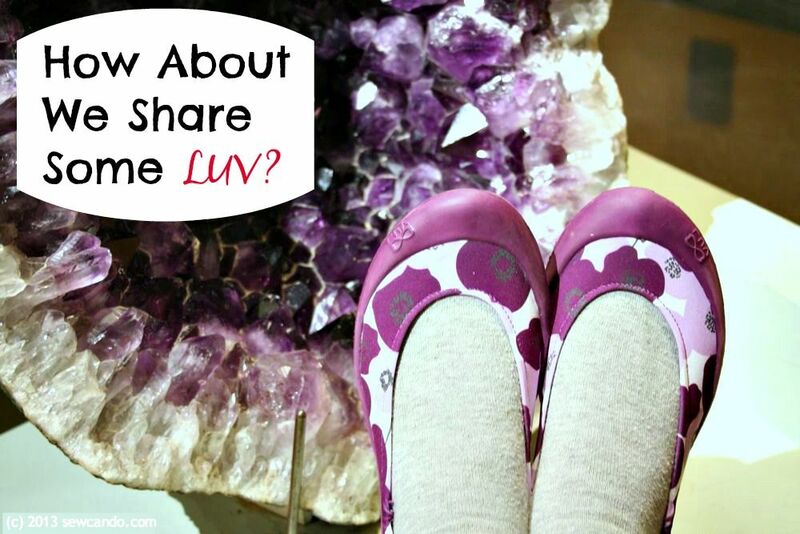 There are lots of great things about sharing LUV Footwear. I'm so happy to be able to take part as an Ambassador & share some LUV with you:) You can check out more at LUV Footwear and follow on Facebook, Pinterest & Twitter. I was not financially compensated for this post. I am an ambassador for LUV Footwear. I share LUV with the community and they share great shoes with me & those I know. The opinions are completely my own based on my experience. For my complete disclosure policy, click here. These look comfy, fun, and very cute. I love the wide variety of colors and prints. Would like to have a whole collection of these!